Dry carpet cleaning uses various chemical compounds to lift dirt out of carpet fibers. While many of the methods used for dry carpet cleaning actually use some moisture, one of the major benefits of dry carpet cleaning is significantly reduced drying times due to the smaller amounts of water used, compared to steam carpet cleaning methods. 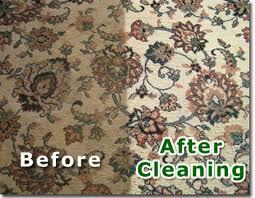 Until fairly recently, steam carpet cleaning was the only method available for deep cleaning of carpets. This method saturates carpets in a mixture of hot water and various cleaning solutions to break down dirt particles and lift them out of the carpet fibers. Once the mixture has been allowed to do its job, most of it is sucked up by a wet vacuum cleaner, taking the dirt and grime from your carpet with it. The carpet then has to dry before regular use is resumed.